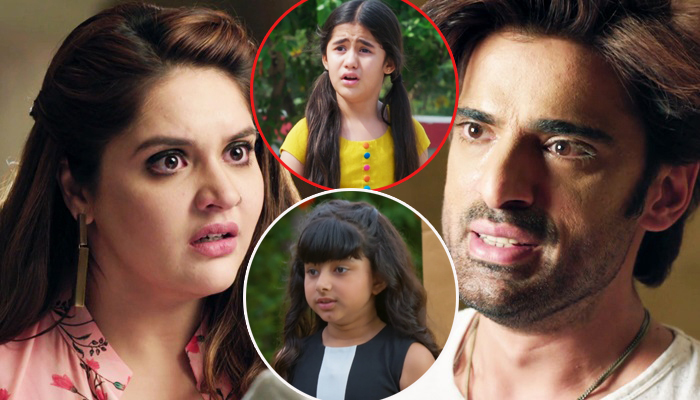 The upcoming episode of Star Plus popular daily soap Kulfi Kumar Bajewala is up for high voltage drama. Kulfi (Aakriti Sharma) and Sikandar had encounter of shocking truth, Kulfi learns that Sikandar is her father. Here Sikandar learns that Lovely (Anjali Anand) killed Nimrat and bursts at her. Kulfi had taken decision to not reveal Sikandar's (Mohit Malik) fatherhood truth as she don't want to spoil Amyra (Amyra Singh Gill) and Sikandar's relationship. Kulfi (Aakriti Sharma) comes to meet Sikandar Gill for the last time and Lovely is much irked and leaves Sikandar forever. Kulfi sees Sikandar (Mohit Malik) and couldn't control her emotions and hugs her, Sikandar also gets emotional hugs Kulfi. Sikandar and Kulfi had iconic hug of love and connection but Sikandar Singh Gill is still unaware of truth that Kulfi is his daughter.